Conducting research for your web project is really simple and it doesn't have to take up much of your time. By planning and breaking down it into a few smaller steps you can save time and get the most out of it. It all comes down to getting the whole picture before you begin thinking about design, development or anything else. Be it a new website or mobile application, a re-design of existing site or app, this article will teach you the most effective and successful way to go about it. Be bold, don't fear, you are capable of doing this, it's not rocket science. I'd like you to consider the amount of research you'll be doing before the client commits to your services and pays the first invoice. Research for a ballpark estimate is basically an extension of the client brief you'll have received. You can get the client brief in any form you need, perhaps through an online questionnaire or from an email or telephone conversation. Armed with this information, you need to make a rough estimate on budget and timeline. This is very difficult to do, but sometimes you just have to react quickly. However, giving estimates at this phase cannot be taken seriously. You have to perform at least some sort of research in order to give a ballpark estimate. A client brief at this stage is all you have, but remember that, in general, a client brief is not research! We might assume that you've use a solid client brief like the one I use for my projects. In this case most common questions will have been answered. However, there is a need to go just a tiny bit beyond to be sure of what you're estimating here. Check the competition and see what you could expect from your client in the future (take screenshots). This will give you a general overview of the industry, immediately spot patterns, similarities and differences between sites, get an idea of “must have” pages. Questions will arise, and as soon as they do write them down for future reference. See if client's wishes and expectations match with user needs of this future website. Clients usually give you a wish list for their new site/product. Most of the time this is a feature list and it is your job to see how these features relate to user needs and expectations of the product and industry in general. You can easily look for patterns in existing products or competition. The purpose of this step is to potentially discover difficulties or challenges you might have to overcome at a later stage of development. Again, more questions will arise, save them for further reference. Try to quickly outline a possible sitemap and see what pages could be missing from the brief. Clients sometimes overlook some generic pages or confirmation screens and other details of user flow. After all, they are experts in their filed and you are the professional they reached out to, so it is your job to spot these details. Research for a "proper" estimate takes (as you'd expect) a bit longer. You should only begin with this after you're done with "quick research" and the client is interested to hear more (suggesting your ballpark offer has been approved). It can take a couple of days of email conversation back and forth with the client in order for you to understand the real scope of the project so you can organize yourself and/or your team for the job. You’ll likely be asking a lot of extra questions here and will need to spend about two to three hours, perhaps more. Some people charge for this kind of estimate, I suggest you decide what your time's worth for this task, or if you are prepared to do it for free. Briefly learn more about the specific industry this project relates to. Ask about long-term goals (long-term goals are very important and can reveal hidden information). Long-term goals can be anything from reaching 1M users next year or enabling new type of registration, to a whole new set of interactions or functionality. If you know all of these in advance, or at least some of them, you can prepare a solid foundation for your future work. This will save your clients time and money in the future, and you will potentially go up a notch in their books because you've been looking out for their interests. Briefly try to understand the client's current business process. Ask for CMS access (if available). Ask for analytics data (if available) and try to identify potential problems. Document everything and create a project snapshot along with your estimate. Deep dive research is what this article is really about. Once your quote has been approved and you've preferably signed a pre-contract with your client, you can deep dive into it. This is where the fun starts! To get our web design projects started out on the right foot, we start by asking questions. Lots of questions. By now you've gathered most of the basic information you require. Is it enough? What do you do with it? Although good project research does not guarantee its success, you have to do more for a successful start. At this stage you have just started with it. Remember the questions you saved earlier for future reference? Now it’s time to get them answered! Ask your client to share all marketing material with you. This will help you understand how they communicate to their audience and potential customers. Ask for any offline publications, brochures, newspaper publications, annual reports, posters, DVD’s, books etc. There is a lot of information you can find in any of these sources which will help you make a better picture of your client and his/her business. Ask for brand guidelines if available. You need to find out if your future work will be constrained by already-established brand guidelines. Ask about corporate colors, design preferences, symbols, brand messaging. Brand consistency is very important and you need to identify possible areas where previous designs may not have been successful in achieving this consistency. Ask how they want to manage content. I don't just mean their CMS of choice, but how a CMS will fit into their workflow. Who is responsible for adding and managing content on the site? Is it one person, more administrators, do they need to sync their work and updates they make to the website? You also want to ask how tech-savvy the person responsible for updates is (thought that can admittedly be difficult to quantify). Do they need to import/export files and data in specific formats? Do you need to integrate a third party software or CRM? Do they need to sync data across multiple platforms and devices? Do they plan on building native apps at some point? These are all very important questions which expand the project scope and your work. Ask your client if they have hosting and a domain name ready. In case you’re not a sys admin (and you mostly aren’t) then suggest they take care of hosting and domain names themselves. You can provide assistance if they are not sure which host to choose. The reason for this is, in my opinion, you should avoid any responsibility with server downtimes or any other issues in future. In case of a server problem clients will probably call you to check what happened, but if it is a server or domain issue you can forward them to the hosting provider and they will take care of it. Ask your client if they already use Google Analytics, Mint or any other analytics tracking. In case they don’t, make sure to assist them in setting up analytics. It will provide them with invaluable insights on site performance, pageviews, content discovery, goals, and most importantly, analytics will show you and them how well your decisions have been made regarding design and site optimisation and where it needs improvement. Doing the research is relatively simple; it is the task of trying to understand and apply the research to benefit your project that is not easy. The above research sections are mostly “technical” oriented and I still call them basics. Why basics? Because you've learned a lot about the client, the industry, technical requirements, constraints and other things. Sure, you gathered a lot of information, but this is still considered raw material, because now you understand the project at a surface level, but you still don’t really understand your client and their business. You need to perceive given information in relation to your clients business. How do you do that? There is no substitute for one-on-one conversation with your client. You can do as much research as shown above, but until you meet and talk with your client and other employees you might not be able to really perceive the research findings in true relation to your client's business. For true understanding of your client's business and product you need to talk to as many stakeholders and other staff members as possible. Arrange a meeting at their offices, if you can, and get a chance to experience first-hand how their business operates. What do people do there every day, how do they communicate on projects among each other, who are departmental heads and what are their daily tasks? If you cannot have a physical meeting then try to arrange stakeholder and staff member interviews over Skype or Hangouts. Try to avoid group meetings, it is much better to interview people individually. Understand how Their Business Works! I believe that a great designer, developer, information architect, project manager, content strategist or anyone who works in digital media can only be good enough if he/she knows the business side of every project. What that means is that you have to put yourself in the position of the business owner. Get to the heart of what their business is about. You ideally want to know as much as possible about what their business does and how they do it. You're not asking to see their revenue share, or how much they earned in last quarter but how they did it. Understand the cash-flow and efforts they need to undertake to secure healthy business operations. What you learn will not only benefit you on this particular project but will help you become a better professional. Put yourself in the position of the business owner. Understand what the products and/or services mean to them. Understand the structure, strategies, and priorities of your customer’s company. Learn about the competing market in general. One particular question I like to ask my clients is: "If you were to read a newspaper headline about your business, what would it say?". It may sound a bit weird to ask this but, believe me, this question will put a smile on their face and the answer will be quite revealing to you. The target audience or the users are the most important part of your project. After all, if there is no one to use the product then your client is not making any profit and you're not making anyone happy. Think like a sales man, think about the benefits of the website, not the features that it needs. Think outside of the box, like the customer of the particular product, put yourself in customers shoes. Actual interaction with the target audience will greatly help you with your research. Find the opportunity to speak to customers, ask them what they think of your client and products, what they expect to find on their website and what motivates them to come back, make purchase or interact with the website. Understand customers needs and expectations. Understand why customers choose your client. Learn about customers attitude and common behaviour on the internet. Of course, you can help yourself by creating personas, mental and conceptual models, but the purpose of this step is not to perform usability research but to understand the goals of your target audience and match those with goals of your client's business. I've Gathered so Much Information, Now What? All this may sound pretty exhausting, but it’s really not that tough. Your task now is to balance out all the information gleaned from this research, client interviews and findings about their business and customers, putting it all within the context of your project. Surely you have done this along the way while doing research, but now you have some solid anchor points to hold onto when making critical decisions about design, UX, usability and development in general. Write down all important notes in a bullet list or a spreadsheet, use colour highlighting to mark them in order of importance relative to project goals. Whenever you have a decision to make at any stage of the development you can look up the table or list and check if your decisions match with all the research findings. In my career to date I have worked on many projects and with many individuals and teams. From small corporate business sites, intranets, web applications to online newspapers. I would like to point out a few projects and demonstrate specific questions I asked when conducting research and interviewing clients. Every newspaper has its own, different publishing philosophy, and every newspaper's revenue stream is obvious; advertising. But there is much more to take into account. When designing a newspaper you have to talk to as many people as you can and look into every single detail because it can, and will, have an impact on your work later. Ask how they sell ads, as standalone, as promotion packages, in campaigns or else? Ask which formats they support and how they incorporate them on the site, on single pages, throughout the whole site? Do they have some special formats they use only occasionally? Do they use an Ad serving platform? Ask which tracking system they use or would like to use? Ask how they find news and publish it every day? How does chief editor approve articles to be published each day, what does that process look like? Ask how they communicate among each other and how they measure each others success? Do they need to have monthly statistics about every writer/journalist/contributor? Do they work with already established professional photography library? Do they use third party image and video serving platform or they have their own local library? Do they have, or would they like to use an automated process of choosing images and videos for each article? Do they plan to serve audio content on their site? Do they plan to have professional blogs for high influential contributors? Do they plan to reuse the main infrastructure and backend for other news sites in the future? Do they use a CRM and what kind of data are they collecting? Are they planing to have paid content? Will there be a need for user registration at any point, and if so what should be displayed in their profiles? The list goes on. I believe that there are many more questions to ask, but the above list will give you an idea of where to start and how to dig deeper. Scientific research and/or educational sites have few things in common with news sites since they both have editors, contributors and publish some news content. The difference here is that, besides the public section of the site, there is always a closed section of the site where researchers, editors and contributors share their information among each other which is not released publicly. This closed section of the site is sometimes, if not always, more important then the public section. Who is the the chief content curator and what is their connection to publishers? How big is the current library of articles, PDF’s, video and other content and where is it stored? Do they have a special naming convention for research papers, articles or annual reports which must be followed? Is there an expiration limit of published content and why? Do they want to include some sort of reward program for publishers and how does it have to work? How do publishers communicate among each other and do they want to integrate a messaging system on their site? Do they need a forum and should the access be permission based? Do they need a Reading lists as a feature? Do they plan to publish physical books and sell them on their site? Do they plan to organise events and have open registrations on their site? You may think that you know everything about groupon sites since almost all of them look and function very similarly. That may be true to some extent, but they do differ. Understand how they collect daily offers and how they manage them among the team? Who approves daily offers to be published? Will there be an option for business owners to create offers directly on site (in their dashboard)? Do they plan to introduce offers other then time/quantity based? How do they collect newsletter subscribers and do they want to segment them in any way? Do they use third party newsletter system, or they want a custom built one, and why? Do they have an internal accounting system or do they need to connect to third party system? Do they plan to expand their offers to other countries? Do they work with multiple currencies? How do they want to generate invoices for themselves, business owners, buyers on website? How do they manage payment on site, with how many banks did they sign a contract and do they plan to expand with more financial partners? I believe that by now you should understand pretty much how detailed the research for any project should be. Remember, if you follow the research steps broken down like I described at the beginning of this article, you’ll know exactly when and how much you need to do. Now it’s you turn! I know I said that doing research is relatively simple, and it really is. What I have written above may seem like a lot, but if you carefully split your time and break the research into above mentioned steps you’ll find that it won’t take much of your time. You may be worried about how the client will feel about all the questions you’ll be asking, you might even drive them a little crazy because of this, but remember that it is in their best interests and the success of their project. It doesn’t matter how big or small your project is, you should develop good research habits prior to the start of any project. It is a crucial part of the whole process and by any means it should not be avoided. What is your most successful research process? Does my suggested research process fit with yours? Do you perform your research differently and how? I'm looking forward to your comments! 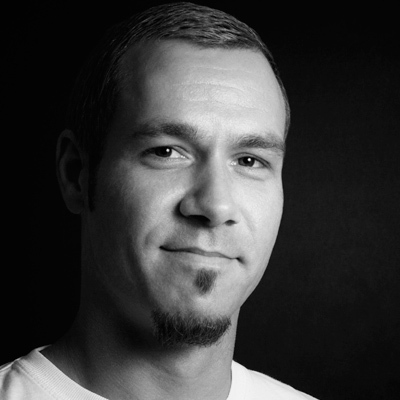 Digital Media Designer (UX) from Croatia with a global reach. His fields of expertise are human behavior, interaction principles and design. Founder of Twinkle Tap, Co-founder & UX director at DUXAD LLC.